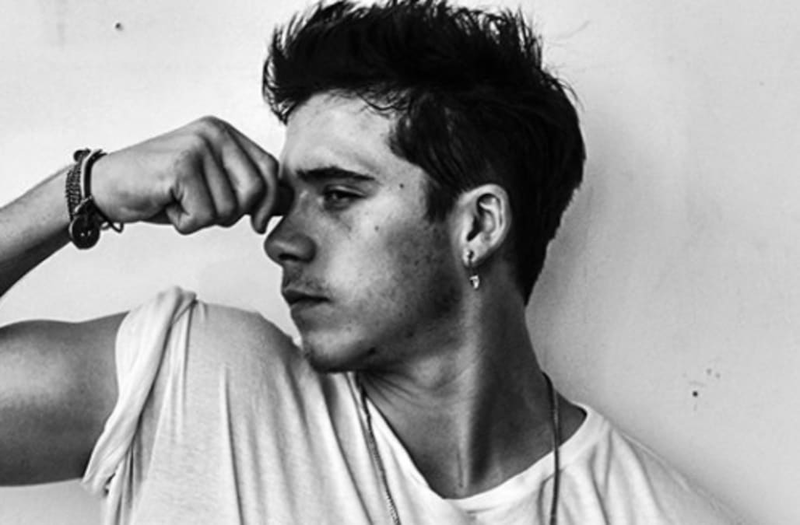 Brooklyn Beckham tried to ditch his good boy image — but many think he may have crossed the line. The 18-year-old son of David and Victoria Beckham wielded a gun while posing in a sultry photoshoot for photographer Damon Baker and fans weren't happy about the privileged teen's violent shoot. Baker posted a series of black and white images from the shoot to his own Instagram page and the third and fourth shots show Beckham with the gun. "Why so violent??" one user questioned. Another Instagram commenter ranted, "Why the gun? What is your reason to use something that causes so much destruction and despair? Depicting a kid who has been brought up with such privilege, who couldn't possibly have first hand experience of the consequences that this type of 'cool' gang image can have on vulnerable children following him?" One user was quick to point out in the comments of Baker's post that Beckham's finger was on the trigger in one of the pictures. "A gun? Really? What an idiot?" a commenter wrote. "Not sure what you were thinking Brooklyn, but I suggest you make better decisions in the future," a fan wrote on a Instagram post of the contact sheet shared by Beckham. "Do not promote guns as art." While many users were not into the gun photos, most Beckham fans thought Baker's images were done beautifully. Many commenters were quick to point out their favorite snaps — preferably without the pistol. Beckham — who recently put out his first book of photographs, 'what i see' — even swapped roles and took some photos of Baker. Just last week, the Beckhams were in New York to settle Brooklyn into the city for his first year of college at Parsons School of Design.